I have to admit, I’m a chapstick/lip balm/lipstick addict. I have to apply something to my lips at least once an hour. Usually I use Burt’s Bees or lipstick. 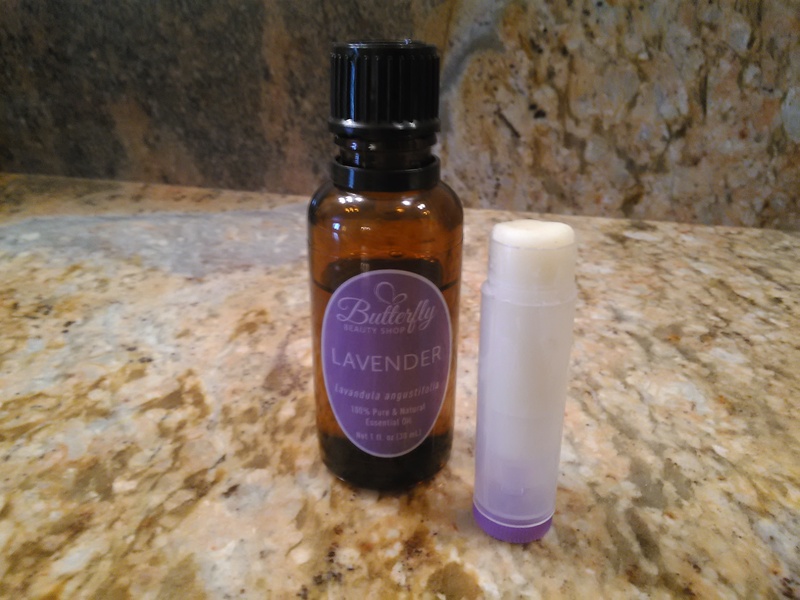 One of our customers loves essential oils (even more than we do) and she gave us a wonderful Peppermint Lavender Lip Balm that she made at home. Measure each of the three butters and place together in a large glass measuring cup/jar (like the Pyrex one that is heat-resistant — as you are going to place this jar in a saucepan of boiling water). Once all wax is melted, remove from heat and let sit for 3 minutes. After the 3 minutes, add essential oils. Pour mixture into lip balm containers. Let cool and you are DONE! If you spill any it’s no problem since wax is easy to cleanoff plastic and counter tops. Just add a small amount of mineral makeup until you get the desired color (do this when you are putting in the essential oils). IS THE MIXTURE HARDENING BEFORE YOU HAVE A CHANCE TO PUT IT IN THE CONTAINERS? Just put the glass jar back in the hot water and re-melt the mixture. Hope you enjoy this as much as we have!